As anyone who has ever gone through a cake decorating class knows well, it’s not enough to be able to whip up delicious cakes if there’s nothing particularly exciting about how they look. But I love the idea of a cake which looks ordinary on the outside and once open, has a sweet surprise. 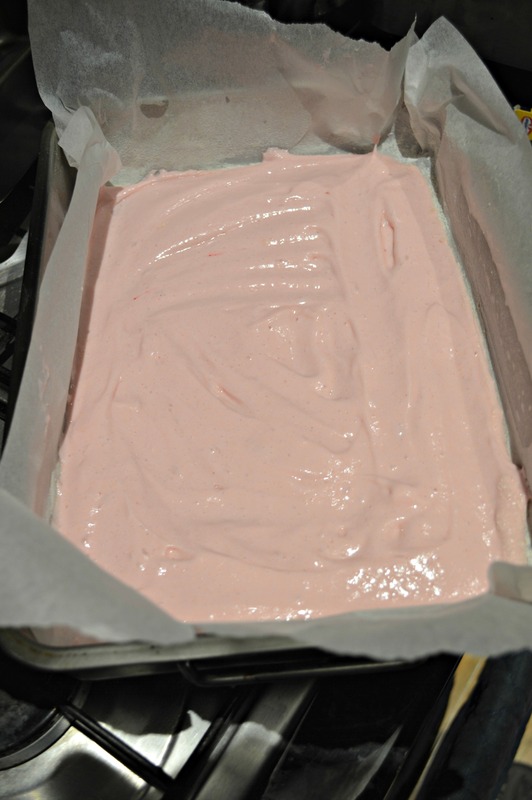 This week featured the return of the best contributor to my blog, Beardy Bestie Fran, and since she was staying with me for a few days, I couldn’t resist convincing her to help with the cute Pink Heart Cake from Joanna Farrow’s Peek-A-Boo Cakes. 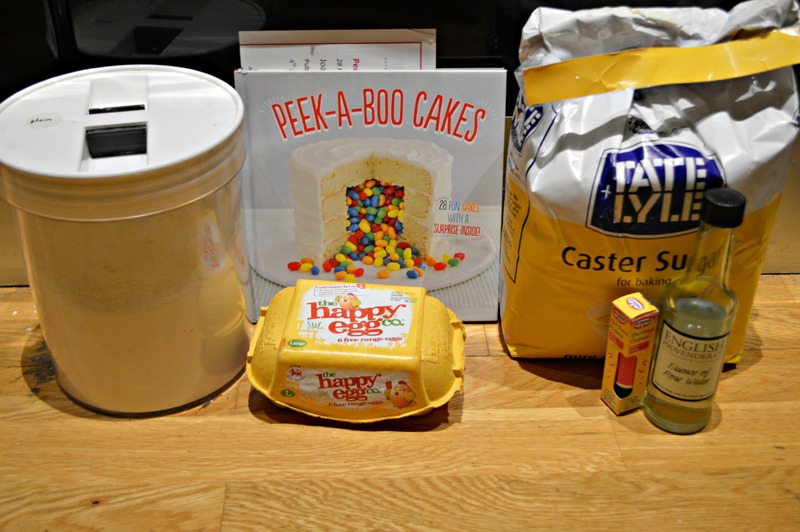 The book contains a wide variety of skill levels and flavours – from a basic sandwich cake filled with jelly beans after baking, to the complicated battenberg-style cake made out of separate vanilla, chocolate and red velvet cakes fitted into a jigsaw. I love the ideas in the book, especially the Christmas tree cake and the cherry flavoured loaf (featuring cute cherry cupcakes). I would say that this is definitely a book for more advanced bakers, but this is a great way of producing cakes with this cute trend. 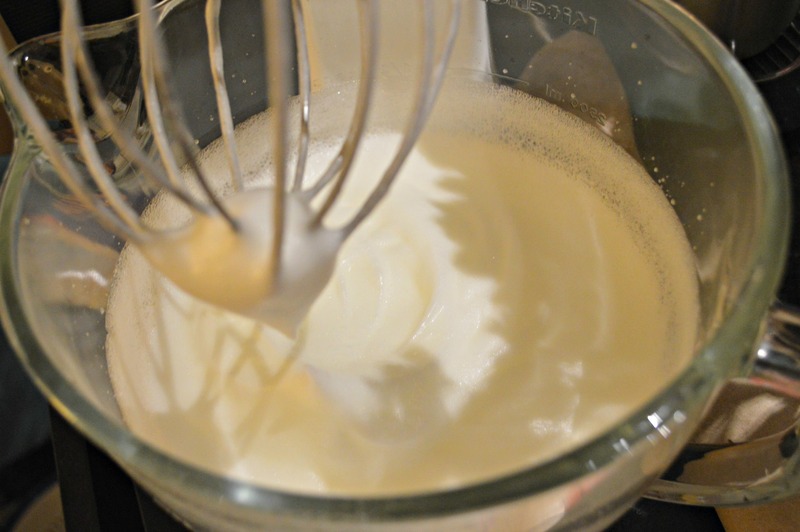 Whip the egg whites until they hold soft peaks. 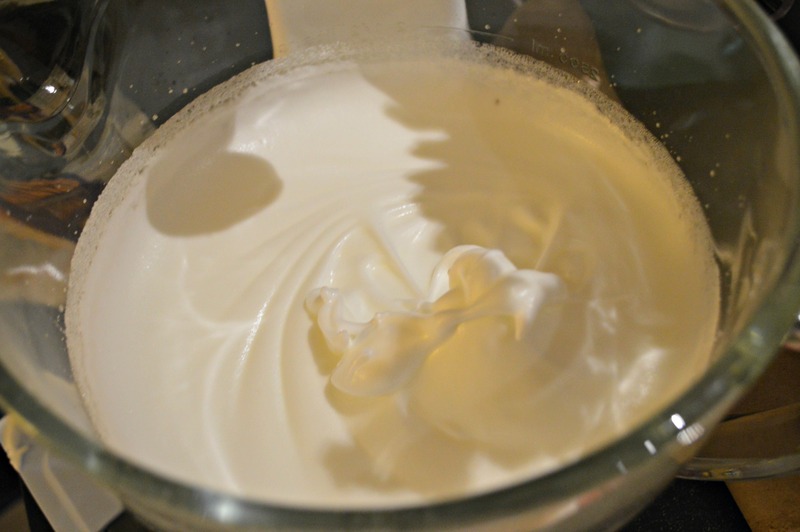 Then add cream of tartar. 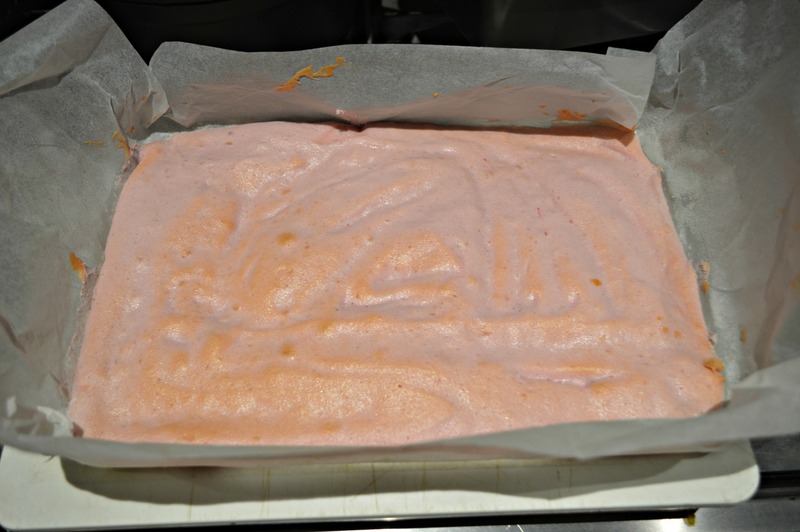 Colour 275g (this will be about half of the mixture) with pink food colouring. 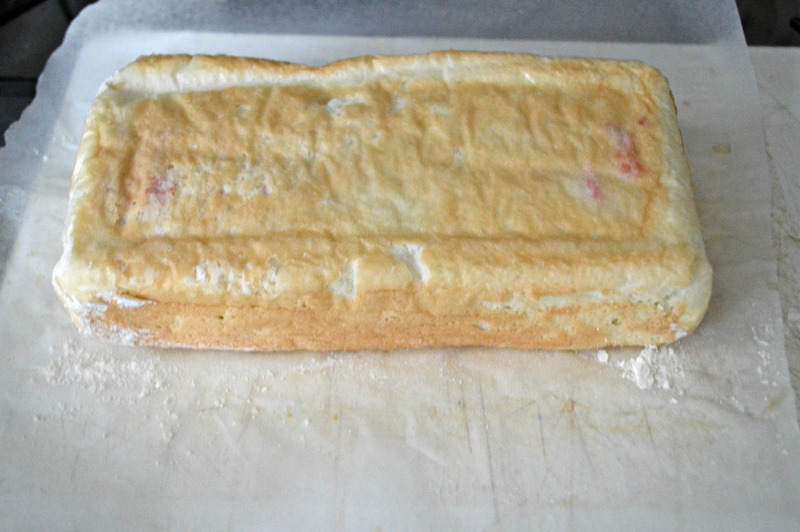 Line a shallow baking pan. 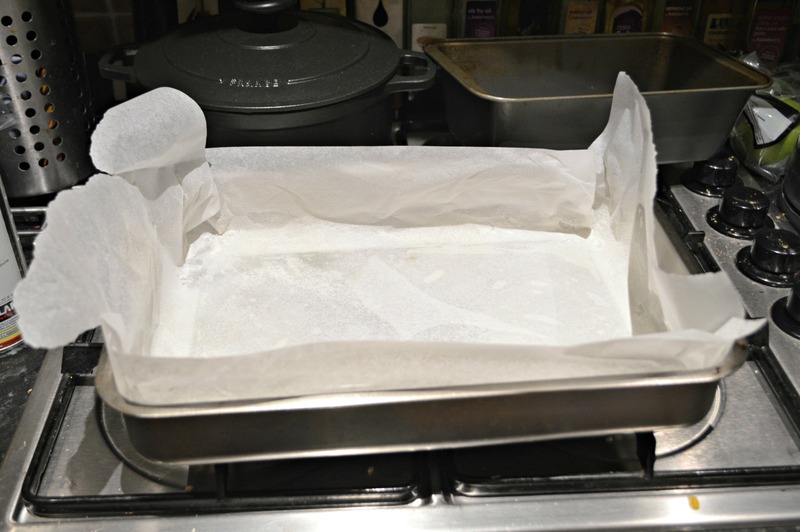 Lay it over a very shallow baking pan and bake at 160C for about ten minutes. 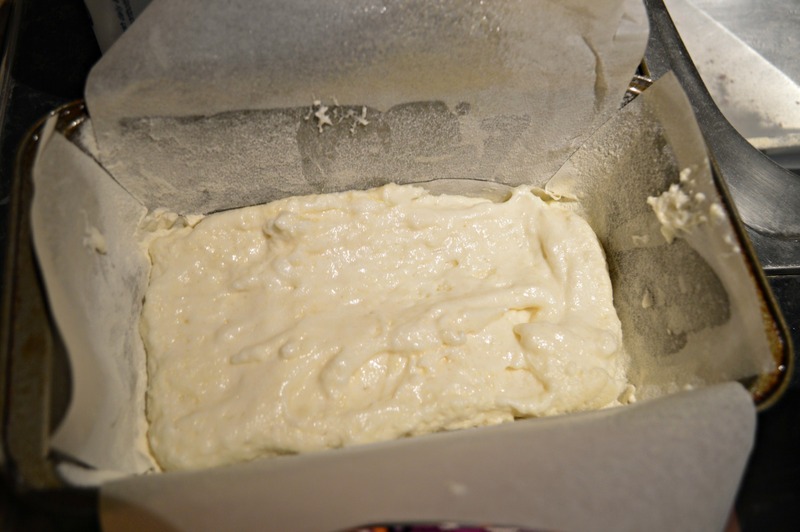 It will not be completely cooked, just cooked enough to hold a shape. 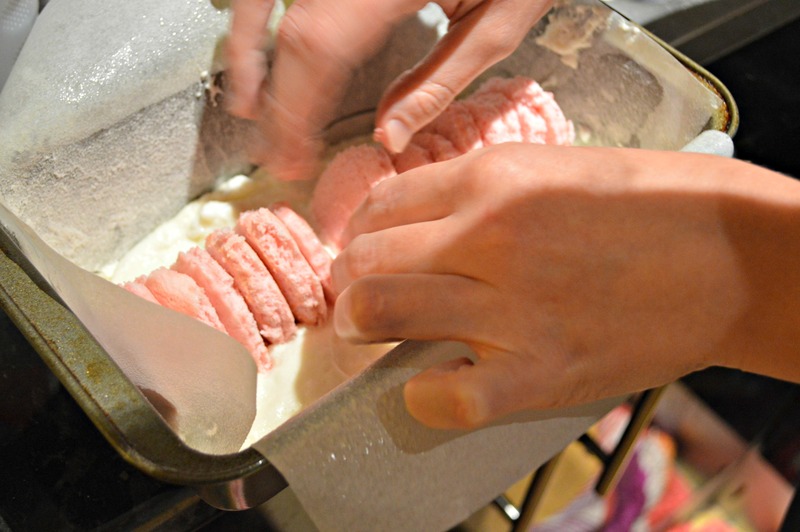 Allow to sit for 30 minutes, then use cookie cutters to cut out heart shapes from the pink cake. 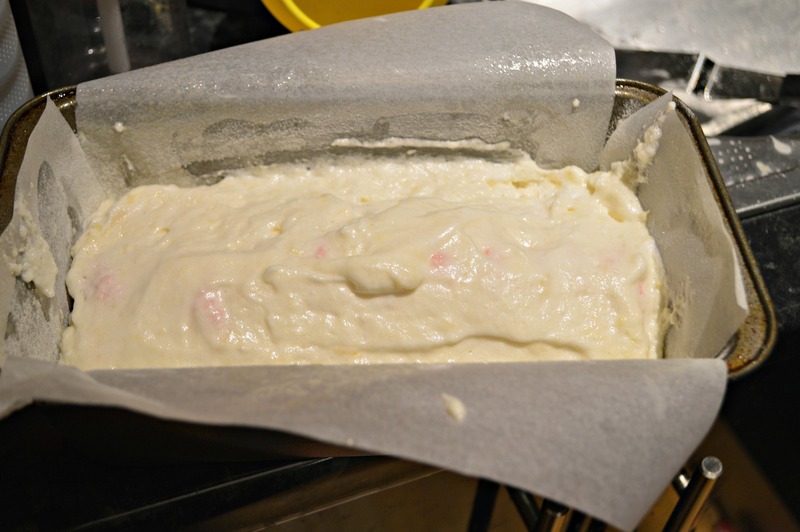 Put half of the remaining white dough in a loaf tin. Place the cut hearts upside down in the loaf tin. Cover the hearts with the rest of the batter. Bake the entire cake at 160C for about twenty minutes – it will still be very light and airy (think a pound cake or an angel food cake). 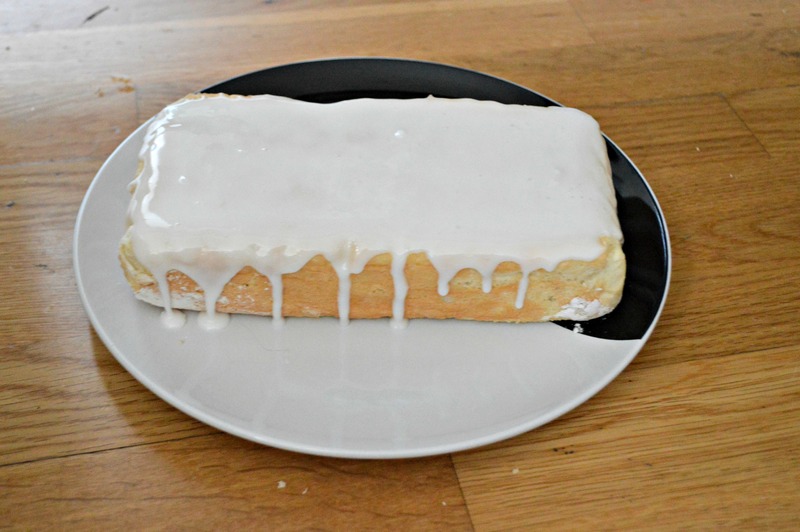 The cookbook recommended a coconut frosting, but because this was a tea time treat, Beardy Bestie Fran frosted it with a simple glaze. If you want to see the inside, of course, you’ll have to cut through yourself! 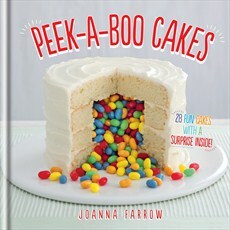 I received a copy of Peek-A-Boo Cakes to review from Octopus Publishing, but all opinions are my own. This post contains affiliate links. I want to see the inside! I like the idea of the hidden middle cake but I’d be disappointed if it wasn’t a cake filling like yours. I want cake in my cake not novelty sweets!